Tigers are big cats that are orange with black stripes and like to swim. This you already know. There is so much more to these magnificent creature than meets the eye. Did you know there are 6 living tiger subspecies and 3 subspecies that have been extinct for less than a hundred years? Here are 5 fun facts you never knew about tigers. 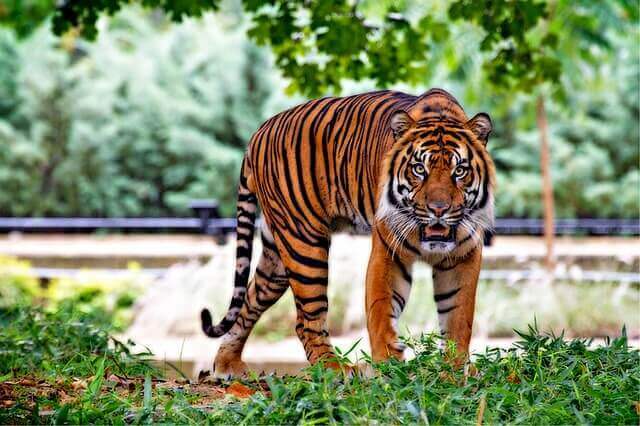 The largest tiger subspecies is the Amur tiger, which was more commonly known as the Siberian tiger. Male Amur tigers can weigh up to 800 pounds, while the next largest cat species, the African lion, generally weighs closer to 400 pounds. Female tigers are generally smaller than males. 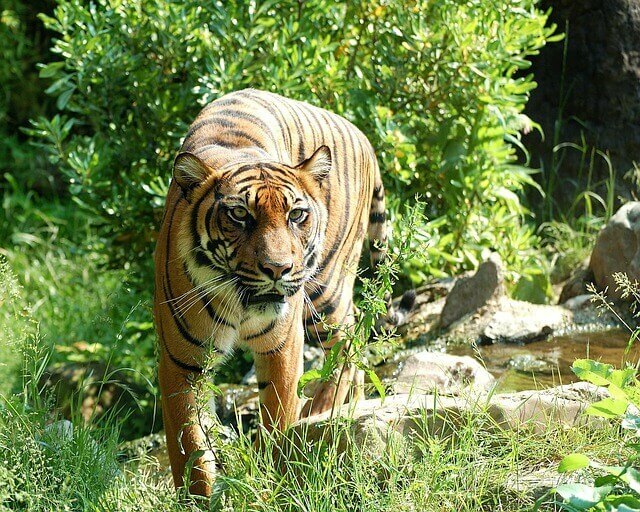 The smallest tiger subspecies is the Sumatran tiger, whose males grow to around 300 pounds. Tigers are capable of killing prey that is twice their size. 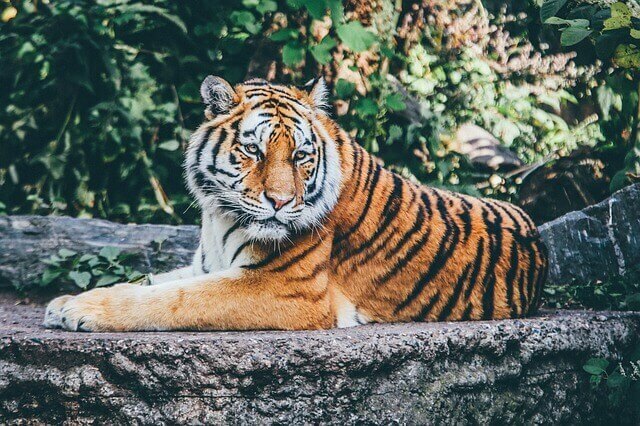 Habitat destruction, habitat fragmentation, and poaching have reduced the wild tiger population from around 100,000 at the start of the 20th century to around 3,890 in 2016. Meanwhile, there are approximately 5,000 tigers in captivity in the United States alone. Many of these tigers are kept as pets by private owners rather than living in zoos. In the wild, their lifespan is usually only 8-10 years. Tigers reach sexual maturity around 3-6 years of age and breed year-round. After around 103 days of gestation, up to 7 cubs are born, although 2-3 is typical. Cubs are completely dependent on their mothers until they learn to kill at 6 months old, but they stay with their mothers for up to 2-3 years to refine their hunting skills. While wild tigers kill an average of 85 people per year, those attacks are usually found to be the result of tigers who have lost the ability to kill their normal prey due to advanced age or dental problems. The Champawat Tiger was responsible for around 430 human deaths before she was killed in 1907. She was found to have two broken canines. 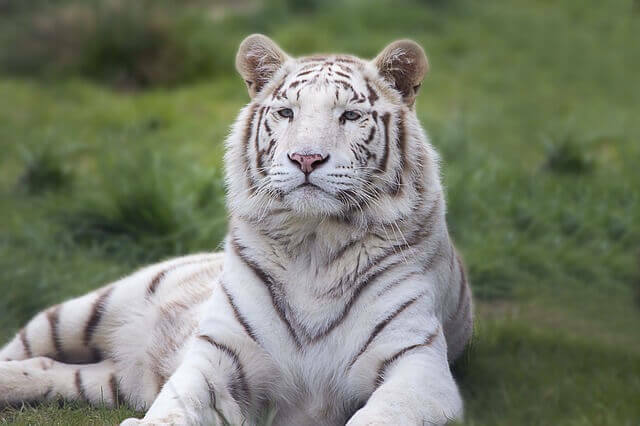 White coloration is found only in the Bengal subspecies in about 1 in 10,000 natural births. It is the result of a recessive gene and is not a form of albinism. Since the gene is recessive, inbreeding is commonly used to breed white tigers in captivity. This results in a higher likelihood of birth defects such as cleft palate, scoliosis (curvature of the spine), and strabismus (squint). There is another recessive gene that creates a golden or strawberry color variation, with light-gold fur, pale legs, and faint orange stripes. This color variation is also seen exclusively in purebred or crossbred Bengals.